Ion is a new solo venture by established UK musician, David J. Hughes. Most people will know David as the founder member of T-Bass and the last man standing in the SkinMechanix collaboration. Both of these ventures typify the Hughes approach to making music. In other words, foot-on-the-floor, pedal-to-the-metal, full-on electronic power tracks with only an occasional nod towards slower, more romantic moods and feelings. Ion, however, represents a musical tanent for Hughes—a back-to-basics approach with an emphasis on a more symphonic, relaxed sound. Says David, "The Ion project came about more or less by accident. In the midst of testing our recently developed ZEIT Step Sequencer, someone forgot to hit the stop button on the recorder and found that we had accidentally recorded more than 20 minutes of random, sequenced noodling, which had no real structure and no real direction. However, rather than just delete the session, we decided to listen ... and came away with the feeling that the music had a raw and unprocessed feel, it was completely natural, unforced and unhurried, the sound of a musician happy to do nothing more than aimlessly wander down strange and previously unexplored pathways." The end result was the track The Silent Scream, which was editted down from 20 minutes of ambient indulgence to just 5 minutes of actual music. The chords and the lead lines came a few minutes later, composed on the fly and in one pass, with successful takes simply cut and pasted together to build up the layers. "We were stunned by the realisation that it was possible to write something that was just about halfway decent in such a short space of time, the music of Ion grew out of this new-found fascination for tightly controlled rhythmic patterns coupled with the joy of re-discoevering the lost art of improvised electronic music." 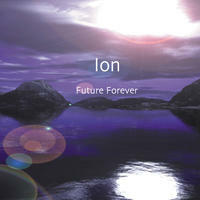 Listen to the music of Ion and simply enjoy. Sequencer music doesn't get any better than this. Ion lives in , England. Tagged as: Electronica, Ambient, Space Music, Ethereal.